If you have any questions relating to these terms and conditions please contact Dingshi Ltd(T/A Karma Thai) using our Contact Form before you place an order. The Websites and Apps are operated by Dingshi Ltd(T/A Karma Thai) Ireland Limited ("Dingshi Ltd(T/A Karma Thai)", "we", "our" and/or "us"). Dingshi Ltd(T/A Karma Thai) is registered in the Republic of Ireland under company number 547585 with its registered office at 12 Mill Street Balbriggan. You can contact us using our Contact Form. As you may be aware, Dingshi Ltd(T/A Karma Thai) is a franchised business, where almost all of the Dingshi Ltd(T/A Karma Thai) stores (the "Store(s)") are owned and operated by independent Dingshi Ltd(T/A Karma Thai) Franchisees who make up the "Dingshi Ltd(T/A Karma Thai) Family" (and by this we mean Dingshi Ltd(T/A Karma Thai) and any subsidiaries or holding companies of Dingshi Ltd(T/A Karma Thai) and each and any subsidiary of any holding company of Dingshi Ltd(T/A Karma Thai), together with the Dingshi Ltd(T/A Karma Thai) Franchisees). We operate the Websites and Apps on behalf of the Dingshi Ltd(T/A Karma Thai) Family. Each Dingshi Ltd(T/A Karma Thai) Franchisee is independently responsible for its own legal and regulatory compliance and for the operation of its own Store(s) and all compliance and other issues arising from any transactions with you and/or Products ordered by you from the Websites and Apps. This means that each Dingshi Ltd(T/A Karma Thai) Franchisee is solely liable for all products purchased at the Store. Please note that we accept orders as agent on behalf of Dingshi Ltd(T/A Karma Thai) Franchisees. 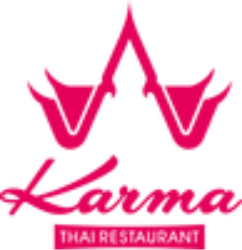 The resulting legal contract in relation to the purchase of Products is between you and the relevant Dingshi Ltd(T/A Karma Thai) Franchisee and is subject to these terms and conditions. The purpose of the Websites and Apps is to provide a simple and convenient service to our Dingshi Ltd(T/A Karma Thai) customer, linking them to their nearest Dingshi Ltd(T/A Karma Thai) Franchisee. Our interactive menus allow customers to build and submit orders at the click of a button. Dingshi Ltd(T/A Karma Thai) offers a delivery service throughout Balbriggan Area. If you live outside a prescribed delivery area, a message will appear on screen notifying you that ordering online will not be possible. This does not stop you buying the Products from your chosen Store, you will just have to phone your chosen Store, order directly from them and collect the order. We do not accept orders from individuals to a country in which we do not have a Store. Store opening hours will vary depending on local trading conditions and the availability of late opening licences for local Dingshi Ltd(T/A Karma Thai) Franchisees. To find a store and view its opening hours, when using our Apps please click on the Home link to view your previously chosen store or enter your postcode to find your local store. When using the Website, please click on the Dingshi Ltd(T/A Karma Thai) logo then enter your postcode to find your local store or select your desired store from the navigation bar. b you are at least 18 years old. We may provide links on the Websites and Apps to the websites of other companies, whether affiliated with us or not. We cannot give any undertaking that any products you purchase from third party sellers through the Websites and Apps, or from companies to whose website we have provided a link on the Websites and Apps, will be of satisfactory quality, and any such warranties are disclaimed by the Dingshi Ltd(T/A Karma Thai) Family absolutely. This disclaimer does not affect your statutory rights against the other third party seller. Apple Inc. is not a sponsor of, nor is it responsible for, any promotional offers within the Dingshi Ltd(T/A Karma Thai) iPhone applications. After placing an online order via the Websites and Apps, you will be presented with a screen thanking you for your order and confirming your order has been received and accepted by the appropriate Dingshi Ltd(T/A Karma Thai) Franchisee (the "Confirmation Screen"). The contract will be between you and the Dingshi Ltd(T/A Karma Thai) Franchisee and will only be formed when you have been presented with the Confirmation Screen. All food preparation and deliveries are the sole responsibility of the Dingshi Ltd(T/A Karma Thai) Franchisee accepting the order. Dingshi Ltd(T/A Karma Thai) Franchisees provide a quality service, however Dingshi Ltd(T/A Karma Thai) accepts no responsibility or liability for the quality or quantity of any goods delivered by or collected from a Dingshi Ltd(T/A Karma Thai) Franchisee. All Products are subject to availability. In most cases, your local Dingshi Ltd(T/A Karma Thai) Franchisee will offer an alternative for any out-of-stock item. Great care is taken in the preparation of all the Products, however, we cannot guarantee that all bones from meat products have been removed and some may remain. Ground beef, chicken breast strips and smoked bacon rashers contain added water. The Thin & Crispy and Double Decadence bases contain ingredients produced from genetically modified soya and maize. Our goal is to provide the best delivery service in the market which includes maintaining our excellent reputation for on-time delivery (i.e. delivering food at the time we quote). Unfortunately things do not always go to plan and factors, such as weather and traffic conditions, may occasionally prevent us from achieving this. We will do our best to fulfill your order in accordance with the delivery date and time set out in the confirmation email or, if delivery is specified as asap, within a reasonable time from the time the confirmation email was sent taking into account the volume of orders and circumstances facing the Dingshi Ltd(T/A Karma Thai) Franchisee at the time. We will charge a small amount of money as a delivery charge varies from €2 to €5 depending on distance. We will inform you if we become aware of an unexpected delay. For a real time update of your order you can click on the Tracker link provided on the Confirmation Screen. b in the case of same day orders and deliveries, within a reasonable time (usually just a matter of minutes) and, in any event, before any food has been used to start preparing the order. Where an order is cancelled after food has been used to start preparing the order, the Dingshi Ltd(T/A Karma Thai) Franchisee may, at its sole discretion, classify this as a "Bad Order". An order may be subsequently cancelled by a Dingshi Ltd(T/A Karma Thai) Franchisee, at its sole discretion, after you have been presented with the Confirmation Screen. Dingshi Ltd(T/A Karma Thai) and the Dingshi Ltd(T/A Karma Thai) Franchisee reserves the right to cancel any order, before or after acceptance, and will notify you immediately of any such cancellation. You will not be charged for cancelled orders made in accordance with these cancellation provisions. Any payment made prior to an order being cancelled by Dingshi Ltd(T/A Karma Thai) or a Dingshi Ltd(T/A Karma Thai) Franchisee, in accordance with the above, will usually be refunded using the same method originally used by you to pay for your purchase in the same day. If customers receive wrong order from Dingshi Ltd T/A Karma Thai, and this is totally caused by Dingshi Ltd T/A Karma Thai. We will provide the following. The price of any Products will be as quoted on our Websites and Apps and may vary from time to time, except in cases of obvious error. Prices include VAT. Prices are liable to change at any time, but changes will not affect orders placed where you have already checked-out and been presented with the Confirmation Screen (unless, due to a technical error, you have been overcharged for some reason). Despite our best efforts, some of the Products listed on our Websites and Apps may be incorrectly priced (either due to human or technical error). The Store will normally verify prices as part of the order process and the Store's decision in relation to pricing is final and binding. Payment for all Products can be by credit or debit card at the point of ordering or in cash at the point of collection. We accept payment via Maestro, Visa Delta, Visa and MasterCard. Should you choose to pay by credit or debit card, once your order has been confirmed your credit or debit card will have been authorized and the amount marked for payment to Dingshi Ltd T/A Karma Thai. If we and/or the Dingshi Ltd(T/A Karma Thai) Franchisee fail to comply with these terms and conditions we and/or the Dingshi Ltd(T/A Karma Thai) Franchisee are responsible for loss or damage you suffer that is a foreseeable result of our and/or the Dingshi Ltd(T/A Karma Thai) Franchisee's breach of these terms and conditions or our and/or the Dingshi Ltd(T/A Karma Thai) Franchisee's negligence, up to the amount of the purchase price paid by you for the Products you ordered. However, we and/or the Dingshi Ltd(T/A Karma Thai) Franchisee are not responsible for any loss or damage that is not foreseeable. Loss or damage is foreseeable if it was an obvious consequence of our breach or if it was contemplated by you and us at the time you purchased from the Websites and Apps. We and the Dingshi Ltd(T/A Karma Thai) Franchisees only supply the Products for domestic, private and business use. You agree not to use any Product for any commercial or re-sale purposes and we have no liability to you for any loss of profit, loss of business, business interruption, or loss of business opportunity. We the Dingshi Ltd(T/A Karma Thai) Franchisees will not share cardholders information with third party. We reserve the right to decline a new registration, terminate your right to link to the Websites and Apps under these terms and conditions. If we consider there to be a risk of liability or loss to us or the Dingshi Ltd(T/A Karma Thai) Franchisees we may take any action deemed necessary to prevent such a liability or loss from occurring. We and the Dingshi Ltd(T/A Karma Thai) Franchisees will not be liable or responsible for any failure to perform, or delay in performance of, any of our obligations under a contract that is caused by events outside our reasonable control (a "Force Majeure Event"). g non-performance by suppliers or subcontractors. If the Dingshi Ltd(T/A Karma Thai) Family fails, at any time during the term of a contract, to insist upon strict performance of any of your obligations under any contract or any of these terms and conditions, or if the Dingshi Ltd(T/A Karma Thai) Family fails to exercise any of the rights or remedies to which it is entitled under the contract, this shall not constitute a waiver of such rights or remedies and shall not relieve you from compliance with such obligations. A waiver by the Dingshi Ltd(T/A Karma Thai) Family of any default shall not constitute a waiver of any subsequent default. No waiver by the Dingshi Ltd(T/A Karma Thai) Family of any of these terms and conditions shall be effective unless it is expressly stated to be a waiver and is communicated to you in writing (email correspondence will be permitted). Dingshi Ltd(T/A Karma Thai) has the right to revise and amend these terms and conditions from time to time. Any changes we make to these terms and conditions will be posted on this page. You will be subject to the policies and terms and conditions in force at the time that you order Product(s) from a Dingshi Ltd(T/A Karma Thai) Franchisee, unless any change to those policies or these terms and conditions is required to be made by law or governmental authority. Contracts for the purchase of Products through our site and any dispute or claim arising out of or in connection with them or their subject matter or formation (including non-contractual disputes or claims) will be governed in all respects by the laws of the Republic of Ireland. These terms and Conditions shall be governed by and construed in accordance with the laws of the Republic of Ireland. Disputes arising in connection with these Terms and Conditions shall be subject to the exclusive jurisdiction of the courts of the Republic of Ireland.